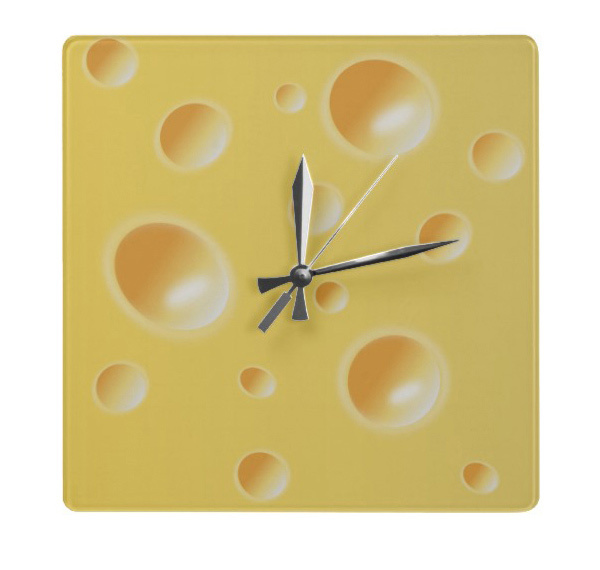 Most often than not, home owners prefer getting funky wall clocks that they add as accent decors in their kitchen walls. 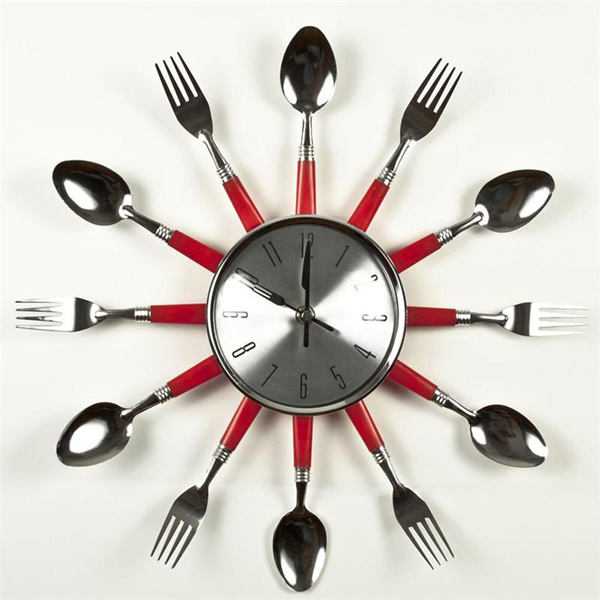 Online, we can actually purchase modern, vintage and designer clocks that will surely be great picks for the kitchen. 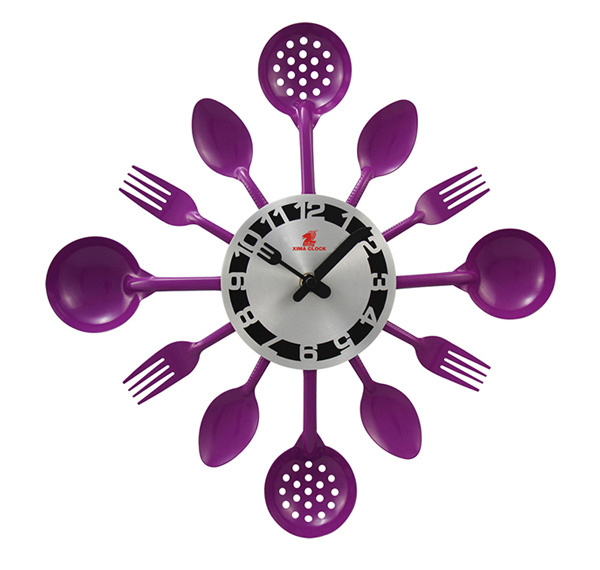 Notice the kitchen clock designs that we will be featuring today, they come in different styles, designs, colors and even size. 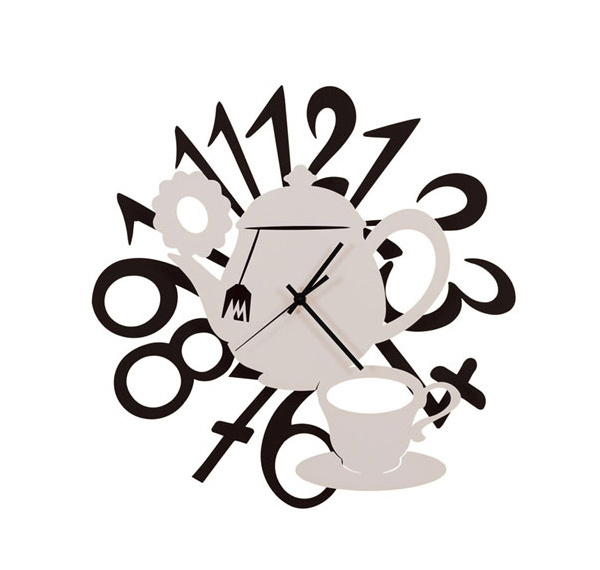 The 15 Excellent Designs of Kitchen Wall Clocks vary – some have roman numerals, some have the regular numbers in them, others even come with just the clock arms. 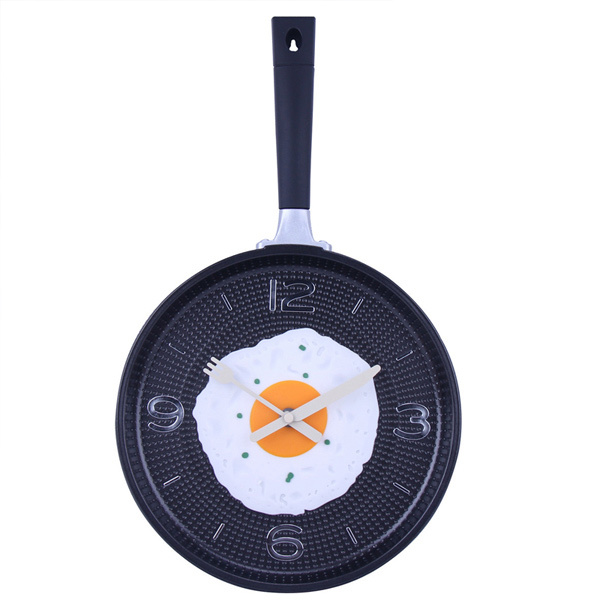 Anyways, however you want your clocks to look like, as long as it looks great in your kitchen and most likely complements the designs you have in your kitchen, then you pretty much have chosen the right wall clock for your kitchen space. 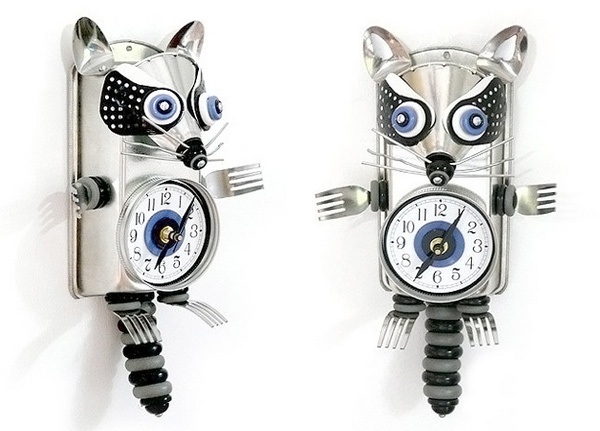 Here are some of the clocks we collated for you guys. This plastic pot sure makes cooking seem more fun than usual. This one is not only functional but durable as well. 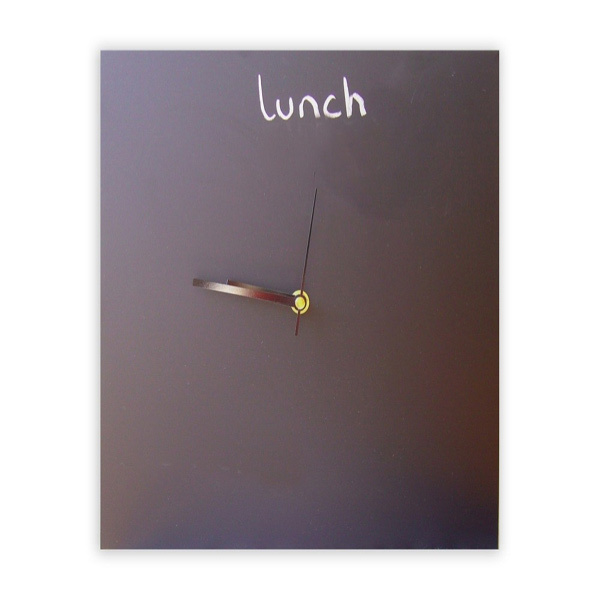 Stunning blackboard wall clock that allows you to write on the clock itself to customize your daily routine; this one sure will allow you to add reminders too! 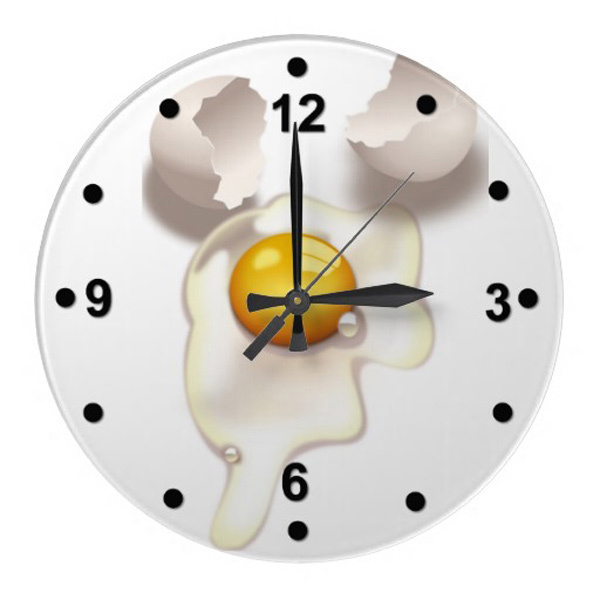 The designer of this cracked egg kitchen clock wanted to create a theme of whimsy and fun style. This design sure looks fun and really interesting. 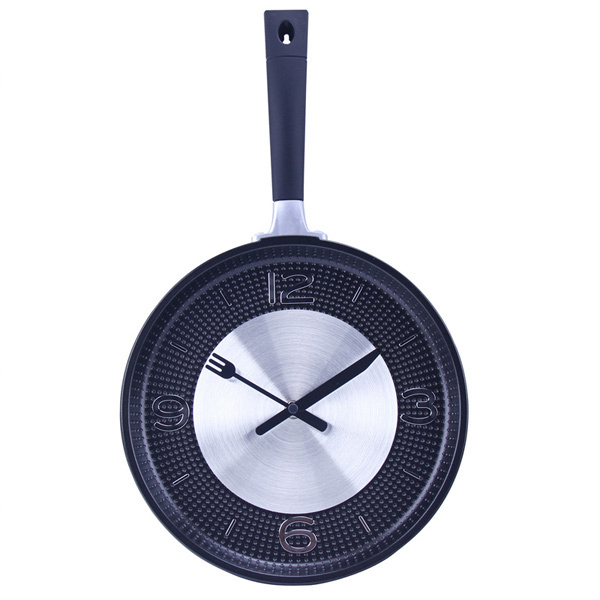 This creative omelette pan sure is stylish and innovative. It’s like a combination of two of the clocks we have before this. A cute tea and coffee pot that show us how much liquid is inside it streaming with all cute stuff! The colors make it vintage and a charmer. 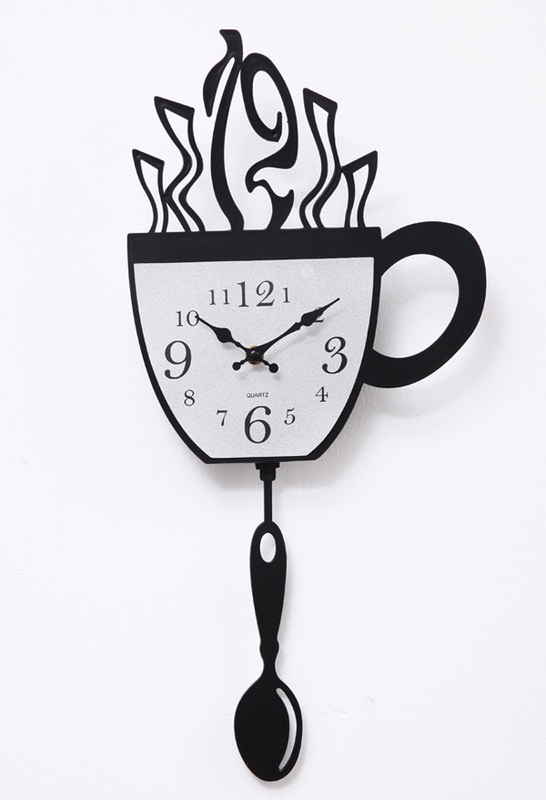 Notice how stunning this artsy wall clock is. Apparently, other than the part where the numbers and the clock arms are, the other parts are already stickers. Cool job! Here is another simple sauce pan design that you can actually use at home. Simple but interesting. 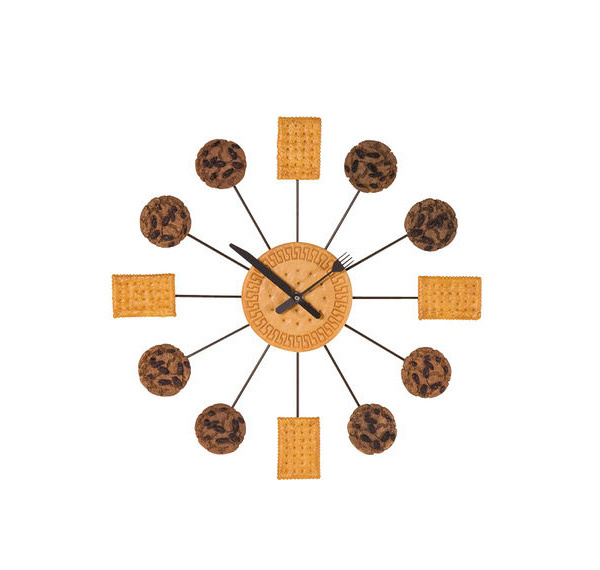 Look at this clock that can also be good as wall decor. It has utensils and kitchen accessories that we usually use in while preparing food. Something we can remember every time we are cooking. Another design that we have which has spoons and forks in it. Some of the designs like these have knives or ladles. The British may have their tea, but we Yanks in the good ol’ US of A have coffee – dark, rich, delicious coffee. And there’s really nothing like having a caffeinated cup of Joe first thing in the morning. This piece sure looks yummy! 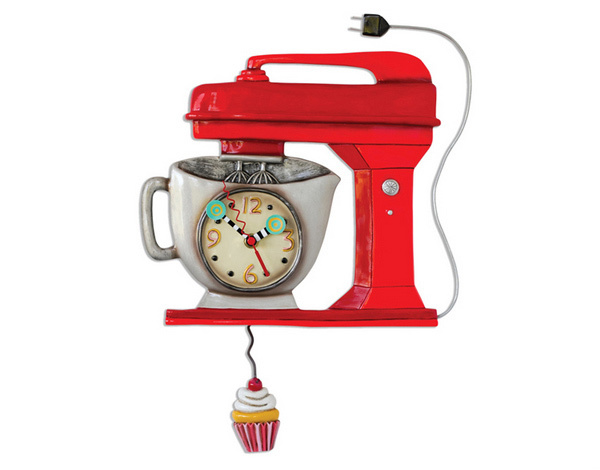 For sure, kids would really like this kitchen clock and we’re betting that they’d want a bite! This timepiece makes a good and functional time keeper, that’s for sure. 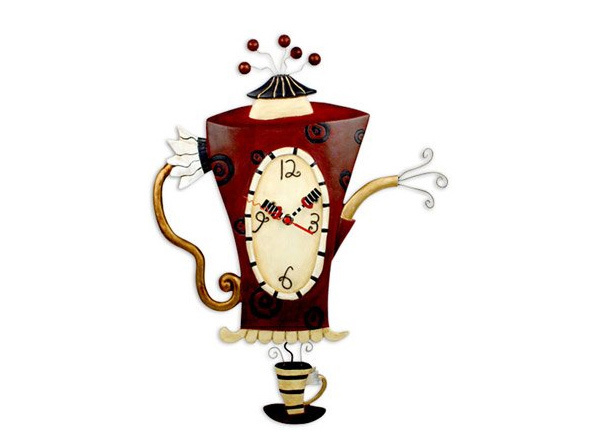 This is an Italian-designer clock that sure is stunning! Notice how cool this raccoon looks! It’s a makeshift of items you can see at home! A tray, spoons, and forks. 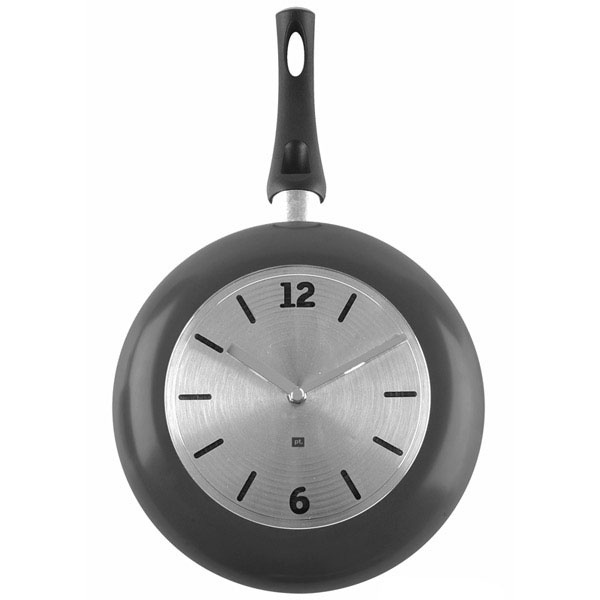 A vintage wall clock pendulum that actually is one interesting conversational piece for any kitchen. This would be much more interesting if it actually is way larger. But it already a charmer in itself. Cheese design that Jerry of Tom and Jerry usually eat on the show. It’s fun, cute and wacky! Did we mention above that even when clocks now vary in shapes, most of the time, people still love their clock in circles? In the list we have above, note the rectangular shape, and other random circular designs. 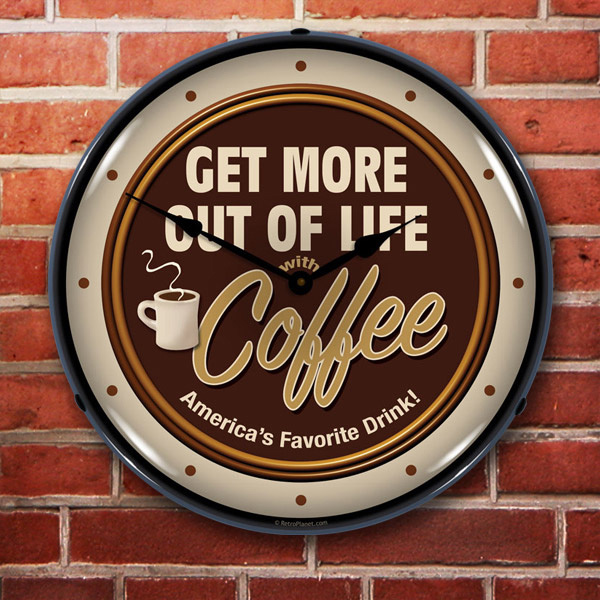 The 15 Excellent Designs of Kitchen Wall Clocks and the modern wall clock designs good for wall decor that we have collected for you guys are sure pretty stupendous and surely the list will make you ask for more! More to come in Home Design Lover!